I wanted to share some important campaign updates with you. The numbers are pretty awesome. 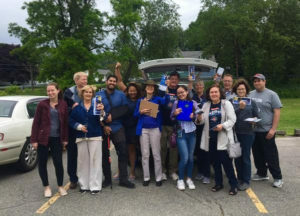 16: The number of new Massachusetts field organizers we added to our field team last month. 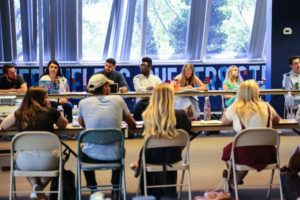 Our organizers play a vital role in our campaign: connecting with voters, rallying volunteers, and covering a LOT of ground. 1,500: The estimated crowd of people who turned out for Elizabeth’s town hall in Natick, MA a week ago (our second biggest town hall ever!). 40,000: That’s how many doors our grassroots campaign has knocked in places like Lowell, Worcester, and Salem this year. 1,000,000: The number of contributions that our re-election campaign is about to hit, any minute now! Will YOU be our millionth contribution? Chip in $3 now – or whatever you can afford – to help us hit this historic benchmark and keep Elizabeth Warren fighting on the Senate floor. Back in 2012, Team Warren made history by raising more money from grassroots donations than any other Senate campaign in history thanks to grassroots supporters like you. It made a lot of people in Washington – the billionaires and their lobbyists – super scared. Today, we’re in the middle of some really tough battles. But Elizabeth keeps fighting tooth and nail – from awful Supreme Court nominations to cruel “zero-tolerance” family separation. That’s why we’ve got to keep the momentum going. Even if you can’t make it to one of Elizabeth’s town halls or knock doors with our field team, your grassroots support makes a difference. Will YOU be the one to push us over the top to one million contributions? Pitch in $3 now – or whatever you can afford. Every penny helps keep up the momentum.